Why See The Marcus King Band? Still, in his early 20s, Marcus King has already been tapped as the next great guitarist by The Washington Post. With his intricate story-telling and stellar virtuosic talent on the guitar, this youngster and his band head out on another tour, bringing his upbeat Americana to you! Showing a knack for songwriting at a young age, Marcus King regularly starred alongside his father, Marvin King, at gigs throughout the US. 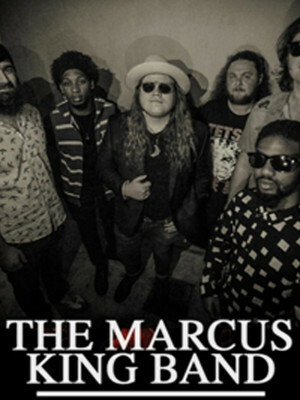 With a passion for the Blues, Marcus formed The Marcus King band, releasing their debut album (Soul Insight) in 2015 on Warren Haynes' Evil Teen Records. 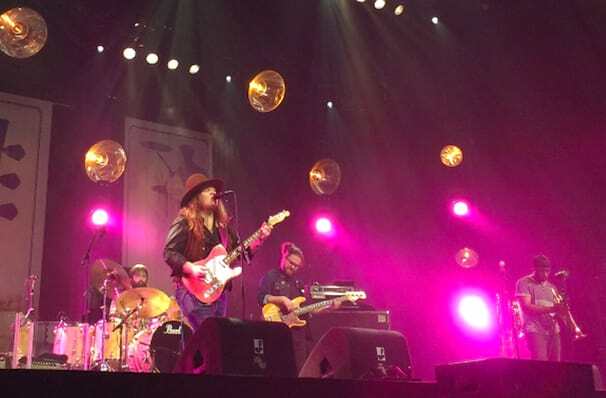 When the debut album reached number eight on the Billboard Blues Album charts, it became clear that Marcus King was in for a long and sensational career. Some venues have age restrictions, please check with the venue before booking. Seen The Marcus King Band? Loved it? Hated it? Sound good to you? Share this page on social media and let your friends know about The Marcus King Band at 9:30 Club. Please note: The term 9:30 Club and/or The Marcus King Band as well as all associated graphics, logos, and/or other trademarks, tradenames or copyrights are the property of the 9:30 Club and/or The Marcus King Band and are used herein for factual descriptive purposes only. We are in no way associated with or authorized by the 9:30 Club and/or The Marcus King Band and neither that entity nor any of its affiliates have licensed or endorsed us to sell tickets, goods and or services in conjunction with their events.